All events held at the Yolo County Fairgrounds in Woodland, California. 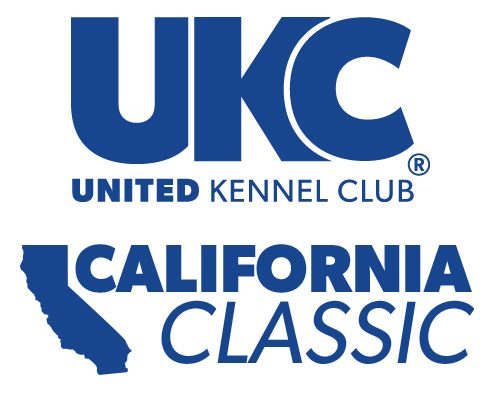 UKC is excited to announce that the California Classic will be held in Woodland, California on January 11th-13th, 2019 at the Yolo County Fairgrounds! The 2019 California Classic will offer Conformation, Altered Conformation, Novice Puppy, Drag Racing, Weight Pull, and Total Dog. The following pertains to Classics licensed and superintended by United Kennel Club. Dogs must be permanently registered with UKC, have a Temporary Listing (TL) number, or have a Performance Listing (PL)/Limited Privilege (LP) number by the closing date and time to enter the licensed classes. No exceptions will be made. Entries for ineligible dogs will be returned. An unentered dog may not be substituted for an entered dog. Dogs must meet the eligibility requirements for the event which they are entering. For requirements, refer to the appropriate event rules and regulations. Entries may be submitted on the Official UKC Entry Forms or online using the link on this page. Entries will not be accepted from third parties or any other entry service. Online pre-entry will not be available until the entry open date. Receipt of online entries will be acknowledged within 3 business days, but this does not constitute confirmation of a valid entry. Mailed entries must include fees. Mailed entries received without fees will not be accepted. Faxed entries must include a cover sheet indicating the number of pages. Fax entries to 269.349.5590. A faxed entry must be received at the UKC offices by the closing date and time and must be fully legible and complete for it to be accepted. We will not accept a faxed entry after the closing date and time based on a "Transmission OK" message in the possession of the owner. No exceptions. Hand-delivered entries will be taken at the United Kennel Club offices. Electronic confirmation of entries will be sent to the email address included on the entry form as soon as the entry has been accepted and processed. One armband will be assigned to each entered dog. Entry information will be printed on the back of the armband. Armbands will be made available for pick up at the event. Payment may be made by cash, check, money order, or credit card. No entry will be accepted without payment. Make checks and money orders payable to UKC. Checks and money orders must be payable in U.S. funds. When paying by credit card, entry form must include the card number and expiration date, as well as the printed cardholders name, address, daytime phone, and signature. Fax numbers and email addresses should be included when applicable. Post-dated checks, returned checks, and declined credit cards do not constitute valid entry fees. UKC will add a collection fee of $30 to the amount of each returned check or money order. Exhibitors who repeatedly submit invalid entry fees may be put on a cash-only basis. Entry cancellations must be received in writing prior to the closing of pre-entries or before limits have been reached. Cancellation requests must be mailed to the UKC offices or emailed to classic@ukcdogs.com. Requests must include the dogs UKC number, breed, name, and event type entered. Cancellations received by telephone will not be accepted. No refund of entry fees will be made for entries cancelled after the pre-entry closing date and time, except in the cases of females that come into season and are entered in a performance event. In those cases, refunds may be obtained by providing UKC with a veterinarians certificate verifying that the female came into season after the closing date. The certificate may be mailed, provided the postmark is no later than the date prior to the day of the event, emailed to classic@ukcdogs.com, or delivered by hand to the UKC superintendent personnel before the start of the event. Cancellations submitted before the close of entries will be charged a processing fee of 50% the entry fee for each entry/class being cancelled. No entries will be refunded after the pre-entry closing date and time or after entry limits have been reached. Entry fees shall not be refunded in the event a dog is absent, disqualified, excused by veterinarian or judge, or barred from competition by action of the Event Committee. Every effort will be made to find all duplicate entries before processing. However, if a duplicate entry is processed, no refund will be made. Entry overpayments may be donated to the general trophy fund. If, because of riots, civil disturbances, or other acts beyond the control of the host organization, it is impossible to open or to complete an event, no refund of entry fees will be made. If, in the opinion of the host club, the well-being of dogs, exhibitors, or spectators is at risk due to extreme weather conditions, such as but not limited to, snow storms, hurricanes, tornados, lightning, flooding, or extreme heat, the host club may cancel or stop an event before completion. No refunds will be made in such cases. Written confirmation of entries will be made by email within three business days after receipt of pre-entries. If you do not receive your confirmation by the pre-entry closing date, please notify UKC by emailing classic@ukcdogs.com. Pre-entry armbands will be available for pick up at the superintendents table. Owners are responsible for the accuracy of information on their entry forms. Owners are responsible for any errors made on entry forms, regardless of who may make such errors. Owners and exhibitors are responsible for correcting any errors regarding their entry. If, per the owners records, a dog has completed the requirements for a title after the closing of entries, the dog may be moved up from the entered class to the class for which it is eligible. Move-ups must be requested in writing to UKC not later than one half-hour prior to the start of any regular judging at the show in which the move-up is being made. Any corrections to entries must be made in writing to UKC using the appropriate form provided no later than one half-hour prior to the start of judging at the show. Exhibitors are responsible for being available for judging at the scheduled time. Every possible effort will be made to accommodate exhibitors who have dogs entered in multiple events, but judges are not required to wait for dogs. Exhibitors are advised to pick up their armbands as early as possible and to notify stewards in all rings affected by the conflict so judges may more easily work around any conflicts. When there is a conflict, the exhibitor should inform the steward/judge at the performance ring ahead of time of a possible conflict and make every effort to be available for judging prior to the conclusion of the class. If an exhibitor misses a scheduled judging time for a performance event, the judge has the discretion to allow that exhibitor to run at the end of the class. However, if the judging of the specific class has been completed, the exhibitor shall not be eligible to compete and will be marked absent. The judges decision is final. On the day of the event, compete in conformation with competition and win one of the following classes: Best Male/Female of Variety, Best Male/Female, Best of Winners, Champion, Reserve Champion, Grand Champion, Reserve Grand Champion, Best of Breed, Group 1 through 4 (providing the group placement has competition), Best in Show, or Reserve Best in Show. Earn a qualifying score in a performance event. Dogs who meet the above requirements will receive a special Total Dog or Altered Total Dog award. 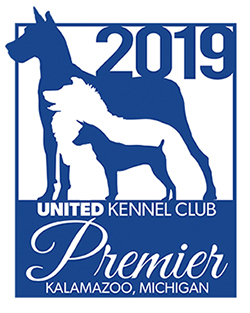 Any dog that earns a Total Dog award at a Classic will be invited to participate in the Total Dog Groups at UKC PREMIER. Classic qualifiers must enter at least one event at PREMIER and mark the Classic Total Dog Bye-In box on their PREMIER entry form in order to compete. Compete in the Novice Junior, Novice Senior, Open Junior, or Open Senior class and earn a 1st-4th placement with competition. Earn a qualifying score in any one performance event on the same day the conformation requirement was met. All events are held under the Rules and Regulations of the United Kennel Club. By entering this show/trial, exhibitors acknowledge that they are familiar with the rules and regulations of this sport. Crating must only be done within the designated crating areas. Absolutely no consumption of alcoholic beverages or unprescribed drugs will be allowed while participating in a UKC Licensed event. It is expressly understood that exhibitors alone are responsible for the behavior of their dogs and/or children. Any exhibitor whose dogs and/or children create unnecessary disturbances or repeatedly engage in unsafe or disruptive behavior may, at the discretion of the Event Committee, be asked to leave the show site. In that case, no refund of any fees paid will be made. UKC, the host club, their agents, and their employees assume no responsibility for any loss, damage, or injury sustained by spectators or by exhibitors, or to any of their dogs or property, and further assume no responsibility for injury to children not under the control of their parents or guardians. Parents are required to supervise their children on the show grounds. Children are not allowed to play on any equipment on the show site. UKC, the host club, and the facility are not responsible for loss, accidents, or theft. Dogs may arrive any time prior to their scheduled time of judging. Dogs not required for further judging are not required to remain at the ring. The No Smoking rule will be strictly enforced in all buildings, show lawns, crating areas, and other areas within 25 feet of shade canopies. No use of electronic cigarettes or vaping devices will be allowed in the no smoking areas. Exhibitors and dog owners are expected and required to clean up after their own dogs. Any person witnessing a violation of this rule must report it to the Event Committee. The Event Committee may ask any person violating this rule to leave the event grounds. No refund will be made if an exhibitor is asked to leave the grounds. UKC will vigorously support any hotel that files a complaint about exhibitors who fail to keep their dogs quiet or to clean up after them. UKC will take strong disciplinary action against any offenders. UKC encourages exhibitors to present their dogs with the least amount of grooming necessary to enable a judge to properly compare each dog with the standard of its breed. Dogs should be bathed, have clean teeth, and have nails cut to a length suitable for the dog to perform the work for which it was bred. UKC enforces rules against artificially altering pigment, coat color, and/or coat texture with products and/or surgical alterations, as outlined in the UKC Rules and Regulations. The judges determination that this rule has been violated shall be final. Dogs may not be left unattended on a grooming table or when crated in soft mesh crates or exercise pens. No dog may be left in an unlatched or unzippered crate. Except when being judged or when crated, dogs must be kept on leash. All exhibitors are expected to abide by the UKC Rules and Regulations and to cooperate with grounds staff, stewards, and club members of the host clubs.